Takko Tuesday! - Druzy Quartz - Polish Etc. On this fine Tuesday, we are taking a look at another new shade from the Takko Lacquer Summer Shimmers. "Druzy Quartz" is a deep navy/indigo blue jelly that has an amazing shifty shimmer running throughout. The shimmer is great. It looks bright pink most of the time but will shift all the way to green at an angle. 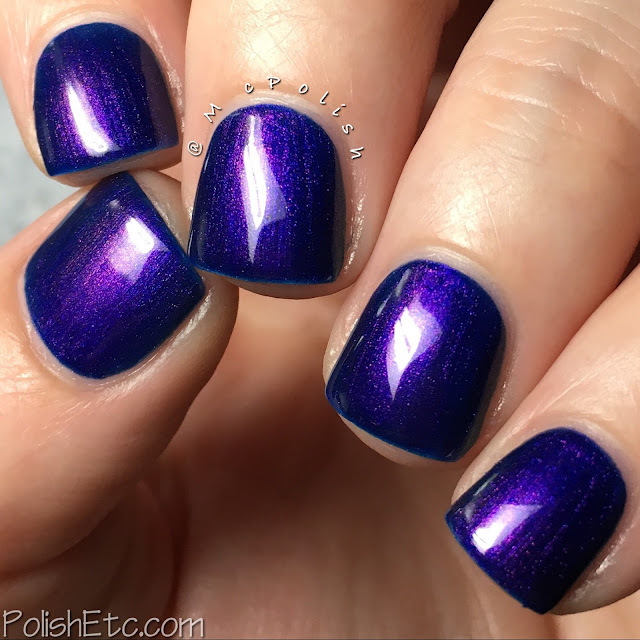 The combo of the blue base and the pink shimmer give this polish and overall purple effect. Blurple, that's a good term for it. In my photos, I am wearing two coats with a a glossy top coat. My nails are pretty short here and you can sort of make out my white tips. If you have longer nails, you may prefer a third coat. Lovely formula, though! 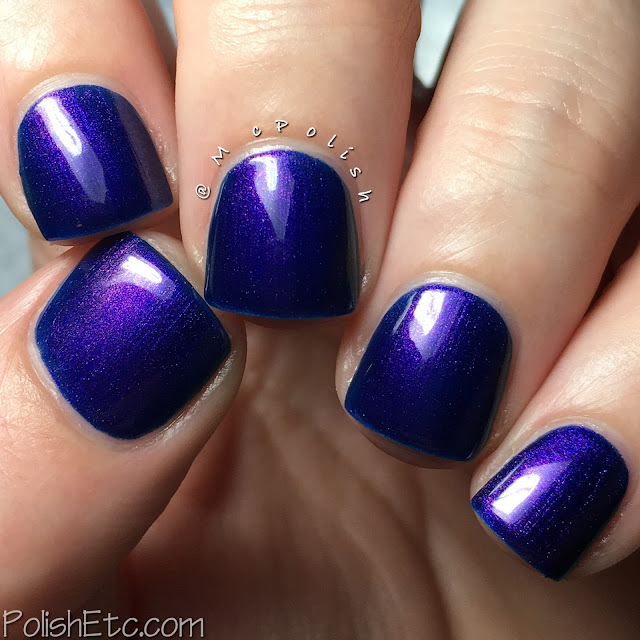 What do you think of this stunning shade? I doubled up on some macro for you. I just had to show off that shifty shimmer on the angle! This polish is part of the new Summer Shimmers collection. The preorders have gone out already and an official release date will be announced soon. Stay tuned to this space every Tuesday and I will try to keep you up to date with restock/release info. Also, be sure to follow Takko Lacquer on their social media to get new info as it happens.